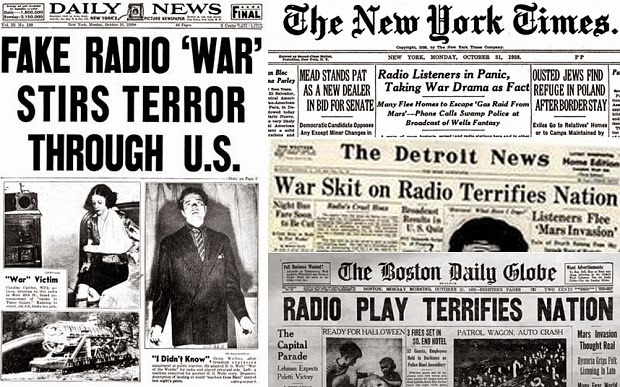 TYWKIWDBI ("Tai-Wiki-Widbee"): There was no "War of the Worlds panic"
In Getting it Wrong, Professor Campbell said that Welles was happy in later decades to encourage the myth of the panic because it was a "tale just too delectable not to be true". I shocked! What's next? Climate change is real?